Before choosing an acoustic floor membrane, either for a new construction or a renovation, it is important to first determine which floor covering will be used. In the case of a condominium, you must first inquire about the acoustic recommendations of your building. Then, you will need to identify the type of flooring you are planning on installing. AcoustiTECH offers a wide range of acoustic membranes for glued down or floated applications meeting (and often exceeding) all requirements of manufacturers of hardwood, engineered, laminate, vinyl and ceramic flooring. Aside from the acoustic efficiency, the mechanical or structural stability is a very important selection criteria when choosing a membrane. In most cases, the membrane must meet the manufacturer’s recommendations in terms of mechanical stability (thickness, density, internal cohesion) in order for the warranty to be effective. Too often, this aspect is neglected by consumers and failing to meet the requirements can lead to expensive issues such as deformation, crackling or lifting of the floor covering. 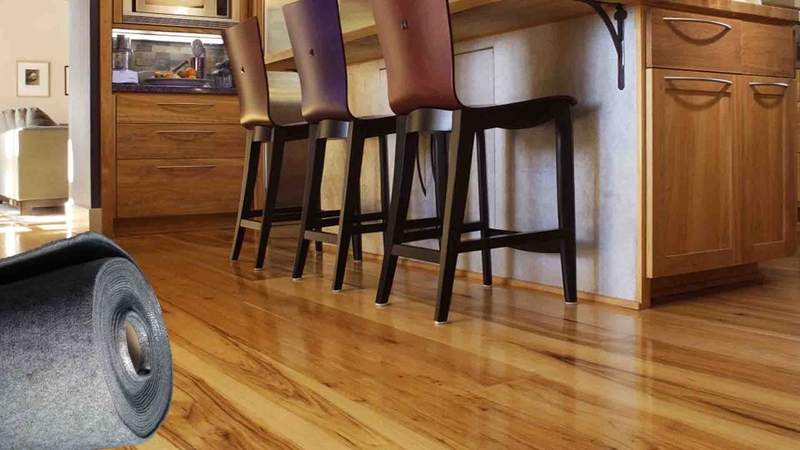 As an example, choose the type of floor covering you want; glued or floating engineered wood, nailed hardwood, vinyl, ceramic, etc. Then, make sure the acoustic membrane selected is suitable and meets the manufacturer’s recommendation and acoustic requirements of your condo board. Otherwise, you may choose a membrane that is too thick or too soft, or whose mechanical strength is insufficient to retain the movements of the floor covering caused by normal ambient humidity variations. In summary, all floor coverings are not made equal and offer advantages and disadvantages. Choosing the appropriate acoustic membrane suitable for each floor covering type is the key to a successful install.